Designed for smaller audio and video systems, Pangea Audio Premier Quattro® AC Power Distribution Strips were designed 'from the ground up' by Jay Victor for superior audio and video performance. 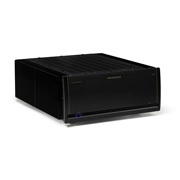 Quattro features a sealed, all-metal cabinet housing for maximum radio frequency [RFI] and electromagnetic [EMI] noise suppression, plus premium audio-grade 20A/15A [NEMA 5-20] AC outlets. 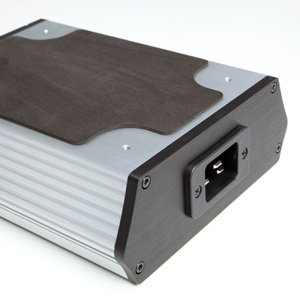 The pure power path with zero current-limiting electronic components in the conductor path uses hand-soldered connections and premium OFC copper or Cardas Grade One Copper internal wiring, depending on the model. The high-grade 20 amp IEC power cable input uses an included heavy-duty 5-ft. detachable AC power cord and has a power on/off LED. The AC power outlets with advanced polymer insulation bodies use extra-thick contacts made of copper-plated phosphor bronze, gold-plated phosphor bronze, or gold-plated beryllium copper, depending on the model. They firmly grip male AC prongs without letting go. 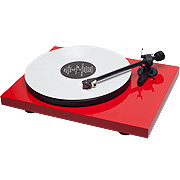 With three models to choose from, Pangea Audio gives you lots of options. Select the model that's best for you. Pangea Audio Premier Quattro AC Power Distribution Strip offers four premium audio-grade 20A/15A AC outlets, phosphor bronze contacts, and OFC copper internal wiring. 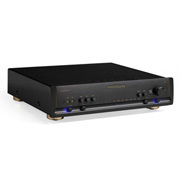 Pangea Audio Premier Quattro SE AC Power Distribution Strip features four premium 20A/15A outlets, gold-plated phosphor bronze contacts, and OFC copper internal wiring. Pangea Audio Premier Quattro XL AC Power Distribution Strip has four premium 20A/15A outlets, gold-plated beryllium copper contacts, and Cardas Grade One Copper internal wiring. Legendary engineer, Jay Victor, designed Pangea Audio AC Power Distribution Strips with the audio and video purist in mind. "The shortest path between any two points is always a straight line," observed Jay quoting a very old saying. "I designed the Pangea Audio AC Power Distribution Strips with the straightest possible path between the power in the wall and the audio or video components. There are zero current-limiting circuits or electronic components of any kind inside." 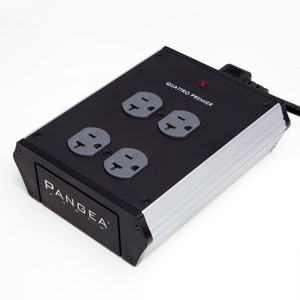 From the metal case works, power outlets, internal conductor wires – and even the solder used – Pangea Audio AC Power Distribution Strips are premium no-compromise designs. Jay also designed the premium AC power outlets featured in these power strips. 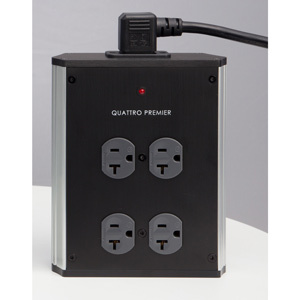 The Distribution Strips are available in the four-outlet Quattro series and the eight-outlet Octet series. 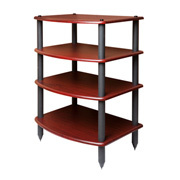 Each series is available in three versions: entry-level Premier, middle-grade SE, and premium XL. "The trouble with the most common outlets in most homes is poor design and cheap parts," explains Jay. "They are made from a cheap plastic that's a poor insulator and they use thin, low-grade metals. Hold one of these outlets in your hand. They're flimsy. 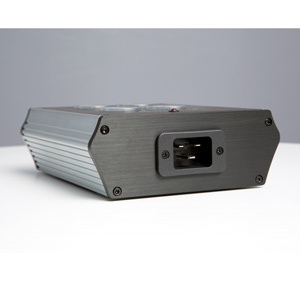 I designed the new Pangea Audio outlets from the ground up [pun intended!] to be superior in every way to standard outlets in order to make sure you get the best performance possible from your sensitive electronics." "Sure, 250,000-volt standoff capability may sound like overkill," Jay admits. "But I knew audiophiles would demand nothing but the best when it comes to supplying power to their sensitive audio gear. That's what I decided to use in the Pangea Audio AC Power Distribution Strips, from the entry level Premier model to the Premier SE and the top-of-the-line Premier XL." For Pangea's entry-level Premier Distribution Strip, Jay used extra-thick contacts made of copper-plated phosphor bronze. For Pangea's middle-grade Premier SE Distribution Strip, Jay used extra-thick contacts made of specially treated gold-plated phosphor bronze. "In our top-of-the-line Premier XL outlet, I take the design another leap forward with gold-plated beryllium copper contacts," reports Jay. "Beryllium copper is an advanced copper alloy made by combining raw copper with beryllium, creating a metal that's a superior conductor compared to standard copper. Beryllium copper is very expensive, which is why you'll only find this copper in the most advanced, state of the art electronics in the aerospace and computer industries. This is one of the very few outlets in the world to use this exotic beryllium copper." "The extra-strong contacts that I used in Premier, Premier SE, and Premier XL firmly grip male AC plug prongs without letting go," said Jay. 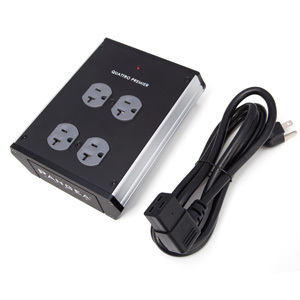 The IEC power input on the Quattro and Octet power strips is a special high-grade 20-amp design. Use it with the (supplied) heavy-duty five-foot power cord or upgrade to the no-compromise power cable of your choice. Pangea Audio also makes some fine affordable 20-amp IEC power cables, too. The Premier Power Distribution Strip use premium internal wiring, too. Quattro Premier and Quattro Premier SE have OFC copper wiring, while Quattro Premier XL has no-compromise Cardas Grade One Copper wiring. 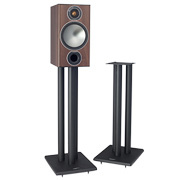 Octet Premier uses OFC copper wiring, while Octet Premier SE and Premier XL feature Cardas Grade One Copper wiring. George Cardas of Cardas Audio developed Cardas Grade One Copper for his own premium cables. George's copper is mined in Arizona, then shipped to a New England factory where it is very S-L-O-W-L-Y drawn into conductors in a process that includes reduction annealing between steps to further purify and meld the copper into what George calls "the most amazing audio conductor I have ever experienced. It is quite simply the best copper on the planet." Dimensions: 9.5" x 7.7" x 2.7"